DC is pulling no punches at SDCC 2015, they are out to make this year's Con their own. Pushing aside teases of new ROM and Batman meeting the Teenage Mutant Ninja Turtles by IDW, comes word that Neal Adams will return to Kal-el with Coming of The Superman this November. 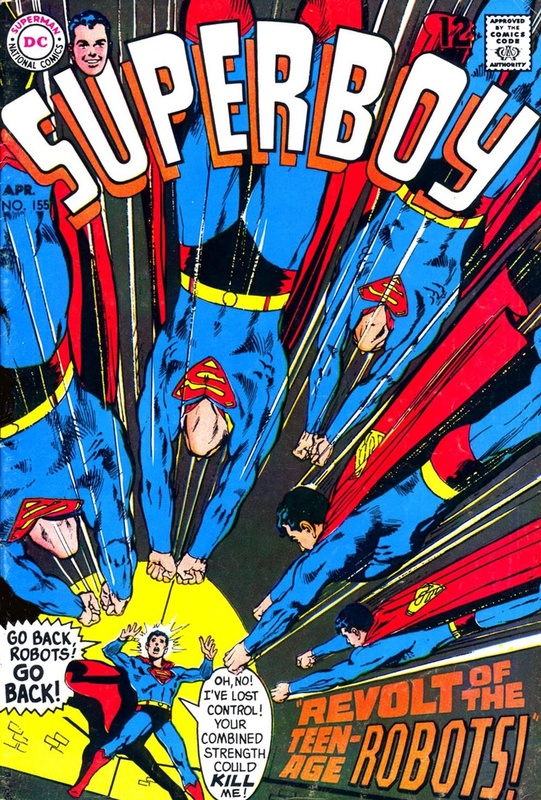 A six-issue mini-series where where the man of steel and three heroes from the Bottled City of Kandor come face to face and fist to fist with all Jack Kirby's Fourth World characters, including Darkseid and Kalibak. Personally I'm loving the fact that DC has rediscovered a love for Mr Miracle, Steppenwolf and co, after watching my favourite arm of DC sitting on the shelf gathering dust for so long. The fact they will be handled by the iconic artist who drew one of my favourite comic covers of all (left) is just 50 shades of awesome. Again leading the thought DC movies are heading towards a multi-dimensional Kirby-fest, over in Justice League, Darkseid War writer Geoff Johns has unveiled news of six Justice League: Gods and Men single issue spin-offs that will each explore a different leaguer's situation within the unmissable story-arc. Now that's a Flash we need an action figure of! Other issues will look at Bat-metron, the Parademon factory established on Oa, Superman corrupted by the firepits of Apokolips - and the man who can stop him, Lex Luthor after the throne of Darkseid for himself.